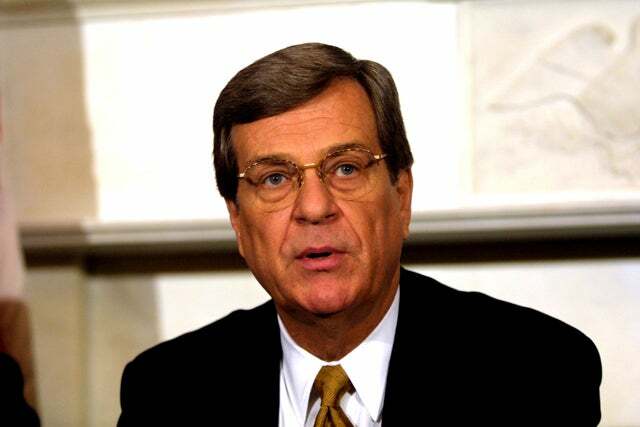 Former U.S. Senate Majority Leader Trent Lott is lobbying for the Senate to ratify a treaty that would undermine American sovereignty and damage the country economically – incidentally, characterizations that Lott himself has advanced. During his time in the Senate, Lott vehemently opposed the U.N. Convention on the Law of the Sea, also known as the Law of the Sea Treaty (LOST), saying it would create a “U.N. on steroids” that “would undermine U.S. military operations … and impair navigational rights” by subjecting maritime disputes to U.N. authority. But despite his previous opposition, disclosure forms filed for the first quarter of 2012 (embedded below) show that Lott is one of four lobbyists from the Breaux Lott Leadership Group, a subsidiary of lobbying giant Patton Boggs LLP, pushing for Senate ratification of the treaty. Lott, a Mississippi Republican, is Senior Counsel for Breaux Lott, which lobbied for LOST on behalf of the Shell Oil Company and Pike Associates, another lobbying firm, according to the disclosure forms. “What happened to Lott in his time in the private sector to change his mind on all of these issues?” asked Heritage’s Brian Darling in response to the lobbying efforts. Lott’s office declined to comment on the apparent discrepancy in the former Senator’s position on the issue. Shell has previously testified in support of LOST ratification, saying that it would ensure the United States’ ability to develop offshore oil resources – which would benefit Shell directly. According one of the disclosure forms, Shell paid Breaux Lott $80,000 during Q1 to lobby on issues including LOST. While Shell’s interest is primarily financial, Lott also lobbied on behalf of environmental interests. Pike Associates, mentioned above, is headed up by Jeffrey Pike, the former Chief of Staff for the House Committee on Merchant Marine and Fisheries and a former member of the Commerce Department’s Marine Fisheries Advisory Committee under President Clinton. Pike’s website says it was recently “selected to manage a multimillion dollar campaign on Senate ratification of the international Law of the Sea Treaty.” It paid Breaux Lott $30,000 to lobby for LOST ratification. Additional disclosure forms show that Pike has lobbied for LOST on behalf of the Pew Charitable Trusts. Pew pushed hard for the treaty with a campaign headed up by the former head of governmental affairs for the radical environmentalist group Greenpeace. Lott had expressed similar sentiments during his time in the Senate. “If the Senate ratifies the Law of the Sea Treaty,” he said in 2007, “we will cede our national sovereignty – both militarily and economically.” Lott also cited the “huge new bureaucracy” the treaty would establish as cause for his opposition.